Stuck in Vacation Mode & #WIWT Link-up! Despite the fact that my vacation is over (I still have more vacation outfits to share! ), my outfits haven’t gotten the memo. I can’t stop wearing the easy, flowy dresses and tops and colorful accessories I took with me to Mexico! This little number from Asos is my FAVORITE. I am obsessing over anything cold-shoulder lately, and this dress is perfect, especially with the crochet detailing. Asos always carries the cutest dresses. I am always scouring their dress section for the newest and cutest, especially lately as I stock up for summer! This tassel necklace has been on heavy repeat. It comes to you from my sweet friend, Lindsay’s new online shop, The Happy Goose Shop. Be prepared to see many more items from her store as I am literally obsessed. I say that a lot, but I can’t even explain to you how absolutely amazing her shop is. I fell in love with Lindsay’s style about a year ago when I discovered her blog. The Happy Goose blog has since been one of my go to reads, therefore when she opened a shop, I knew it would quickly become my favorite! Lindsay carries the CUTEST boho inspired pieces that I really haven’t seen anywhere else. I can’t stop browsing the site, and am already adding things to my cart to make my second purchase. Please stop by The Happy Goose Shop and support sweet Lindsay! 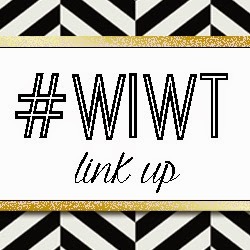 As mentioned last week, starting this week I will be featuring one of my favorite link-ups from the week before!! This week my outfit of the week goes to Dallas Style! I am OBSESSED with her sweet outfit and this blog has quickly become one of my go to reads! Now on to the link-up! Love the boho vibe of this look!!! Your dress is so cute! Love this look! Thank you! I love it! It's so flowy and fun! That dress is SO cute!! Love this ethereal look! Thanks girl!! It definitely makes me want summer to hurry up and get here!! 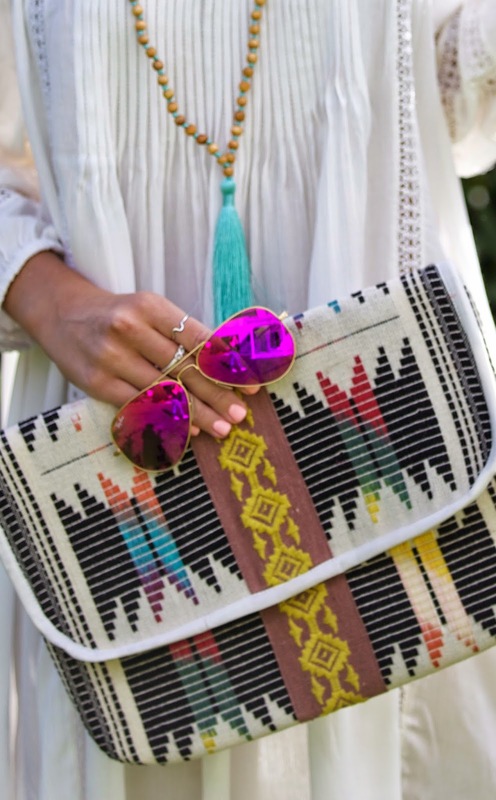 Such a fun and summery look…love the clutch as well. Thank you! Yes, I am too eager for summer to arrive! I have to say I teared up a little as I read this. Your so sweet to write these kind words about my shop. I am still speechless at everyone's support and never ending love. I will forever be so truly grateful and will never be able to thank you enough. My heart is full with gratitude.❤️ Love you dear friend! Sending big hugs your way. Super cute! I love your clutch! You look so great in that white dress! Love it!